Create a legally binding New Mexico Bill of Sale with our attorney-drafted template! What Is a New Mexico Bill of Sale? 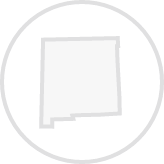 A New Mexico bill of sale is a document used to prove legal ownership of an item. The item can be new or it can be used. Generally, though, a New Mexico bill of sale is created when someone already owns an item, such as a television or a car, and they want to sell it to another person through a private transaction. A New Mexico bill of sale does not need to be notarized. What Are Some Common Bills of Sale Used in New Mexico? The most common bills of sale used in New Mexico are general bills of sale, a bill of sale for a motor vehicle, a bill of sale for a boat, and a bill of sale for a gun. How Do I Write a New Mexico Bill of Sale? Since a New Mexico bill of sale acts as proof of ownership of an item, there is certain information that it must include. In this section, we'll talk about the common elements of the document. Then, you'll learn how to properly describe each item in the most commonly used bills of sale. First, a New Mexico bill of sale must include the date that it was created. This date belongs at the top of the document. However, this isn't the only place where a date should be listed. If the buyer plans to pay for the item on a date that is different than when the bill of sale was created, it should be listed in the part of the bill of sale that outlines the price for the item. The final date that should be included is the date that the buyer and the seller sign the document. Next, you'll include specific information about the buyer and the seller. This information includes their legal name and their physical address. If the item has a lien on it, such as a car or a boat, you'll need to include the name and the address of the lienholder. The next section of a New Mexico bill of sale is a description of the item. You'll learn more about what information you should list for each of the most commonly used bills of sale in the next section. A New Mexico bill of sale should include the type of sale that occurs. You would list whether the item is a gift, a trade, or being sold for money. If the item is a trade, you would describe the item that is being used as the trade. If you're accepting money, you'd write the price in words and then in numbers. For example, one-hundred and twenty-five dollars and zero cents ($125.00). You need a written certification signed by the seller that states the item is being sold, transferred, or conveyed in full for the amount being paid. If there is no lien, that should be certified as well. If there is a lien, it is important that the buyer knows and that the lienholder is okay with the selling of the property since they have an interest in the property. The seller also certifies that the information listed in the bill of sale is true and correct to the best of their knowledge. Finally, a New Mexico bill of sale should be signed and dated by both parties. The buyer and the seller should keep several copies of the completed form for their personal records. A New Mexico general bill of sale is used when you want to sell an item such as your washing machine, refrigerator, television, a used laptop, or other item that wouldn't qualify as a motor vehicle, boat, or gun. When you're describing the item, first look to see if it has a make and model, a serial number, or a registration number. This information is very useful in a bill of sale because it helps from the perspective of proof of ownership. You can also use information such as size, shape, color, or the material the item is made from. For example, if you planned to sell a ring, you could describe it by ring size, material of the band, the gems included, and the type of setting. If you draft your own New Mexico bill of sale for a motor vehicle, it should match the State of New Mexico Taxation & Revenue Department Motor Vehicle Division Bill of Sale. To describe the vehicle, you need the year, make, and model; the body type; VIN, and license plate number. You'll also need to include an odometer reading. The odometer reading should list whether the reading is the actual mileage, mileage that's in excess of mechanical limits, or whether there is an odometer discrepancy. Remember that a New Mexico bill of sale for a motor vehicle must include the name and address of any lienholder. You'll also need to list when the lien was created and when it ends. If you write your own New Mexico bill of sale for a boat, it should match the State of New Mexico Taxation & Revenue Department Motor Vehicle Division Bill of Sale. The form states that you must include the year, make, and model of the boat; the boat series; the engine number (if it has an engine); the Hull ID; the vessel registration number; the state where the boat was registered; boat length and width; and boat transom depth. You must also include a vehicle odometer disclosure and information about the dealership (if purchased there) and information about the lienholder (if there is one). According to the website for New Mexico State Parks, if a trailer is included, you must list the price of the trailer separately on the bill of sale. A New Mexico bill of sale for a gun should include the make, model, caliber, and serial number of the gun. Because there are so many gun sales that include a trade, we'd like to remind you that the traded item should also include the make, model, caliber, and serial number. Is a New Mexico Bill of Sale Required to Register a Motor Vehicle? Yes, a New Mexico bill of sale is required. However, New Mexico requires that you use MVD Form 10009 as your bill of sale. You'll also need a certificate of title, an odometer disclosure statement, an Application for Vehicle Title and Registration, proof of insurance, proof of identity, two items to use as proof of New Mexico Residency, and be prepared to pay your fees. Is a New Mexico Bill of Sale Required to Register a Boat? No, a Mexico bill of sale is not required to register a boat. A certificate of title is required to register the boat according to the New Mexico State Parks website. Is a New Mexico Bill of Sale Required to Register a Gun? No. Guns are not registered in New Mexico. Create a free New Mexico Bill of Sale in minutes with our professional document builder.